Very recently, we had a meeting at work where we had to go around discussing our favorite teas when we are sick. Other than (just) saying something about the nature of our health insurance policy, it was certainly food — or drink! — for thought. While tea is not as much in the forefront like coffee in the US, drinking quality tea might change your mindset! Unlike coffee, which takes careful storage on your behalf and possibly grinding beans, all of the work with tea takes place before you buy it. So, it makes sense to invest in high quality! 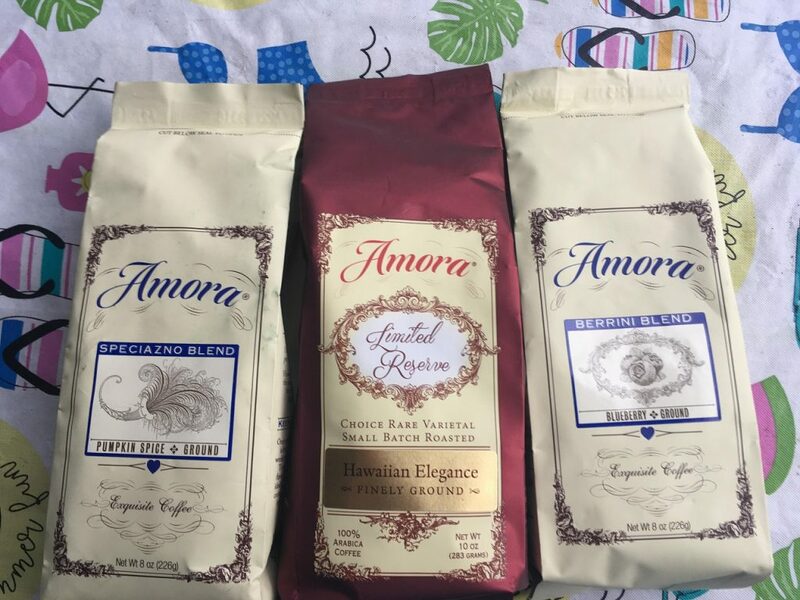 The folks at Amora Coffee also have a gourmet tea subscription – I was happy to be hosted to experience it. While loose tea is the most traditional form of tea, it’s quite fussy. First, you have to have a tea strainer and really, one for each guest. I have a tea strainer that a little silicone guy pulling down his pants, making your cup of tea look like a toilet. Classy, I know. Paper tea bags can add paper lint to your tea and it filters out flavors too much. When I was a teen, we used paper tea bags with glue to fix a broken nail. You don’t want to be drinking that! Amora hand-packs their teas into silky mesh bags, right here in the USA. I have discovered a little trick: pour your boiling water in gently, so that the bag’s tag doesn’t fall in the cup. This is a tea you’ll be proud to take out for company. Chamomile is made with 100% organic blossoms. I noted robust Golden apple flavors. With a little milk and honey, it’s a very soothing bedtime beverage. Chamomile has been used for millennia for anti-inflammatory and anti-anxiety purposes. Even Peter Rabbit was given chamomile tea after being chased by Mr. MacGregor! If you’re the type who gets skin flareups whenever you’re confronted with stress, you might want to drink even more chamomile tea, to soothe you. They note that Earl Grey is source in Sri Lanka, with bergamot flowers added. With actual blossoms, instead of just a little flavoring thrown on, it has a very zesty, citrus flavor. It’s excellent, stand-out quality! In folklore, drinking Earl Grey tea is supposed to bring money into your life.